If you love origami, Kirigami templates open up a whole new world of paper crafting possibilities. Kirigami, like origami, is a craft that has roots in Japanese culture. The term is a combination of the terms "kiru" (to cut) and "gami" (paper). Florence Temko's 1962 book Kirigami, the Creative Art of Papercutting is credited with helping to popularize the craft in the United States. Kirigami uses many of the same techniques as origami, but the craft also involves cutting and sometimes gluing. Symmetry is a very important element in Kirigami projects, which involves a few simple cuts to create a very complicated looking design. In its most basic form, Kirigami encompasses the paper snowflakes children make to decorate for Christmas, as well as the paper doll chains young girls often enjoy creating. Some of the more common Kirigami projects for adults include pop-up greeting cards, decorative gift-wrap, holiday decorations, and creative home décor. Perennial Moments: For Kirigami enthusiasts, Perennial Moments is sure to prove a very valuable resource. This great site offers many different Kirigami templates for a small charge, as well as a few free samples. Etsy: This online market place features a number of shops which sell templates for making beautiful pop-up cards, as well as a few interesting home décor projects. Photos of the finished projects let you see exactly what your design should look like if you've followed the instructions correctly. Origami Resource Center: The Origami Resource Center is probably already bookmarked on your computer if you're a fan of paper folding, but this great web site also includes a small section of links to free Kirigami templates that are available online. Greetings with Patterns: Pop-up cards are very popular Kirigami projects. Maria Victoria Garrido's assortment of Kirigami patterns includes templates for making cards with dragons, flowers, bells, butterflies, and a variety of other designs. 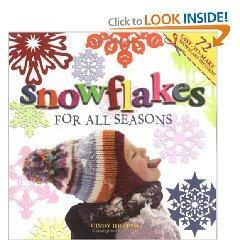 Snowflakes for All Seasons: Making paper snowflakes is the first introduction many children have to the art of Kirigami. This book provides a fun update to the traditional paper snowflake by offering templates to help you create elaborate ornaments appropriate for any occasion. Kirigami Calendar: A Kirigami desk calendar is a budget-friendly way to experiment with a variety of projects. Each day's calendar page features a new template for a popular Kirigami design. Kirigami Home Décor Kit: This gift set includes everything you need to get started exploring the possibilities of decorating your home with Kirigami, including templates, detailed instructions, paper, and scissors. Kirigami Cards and Gift Wrap: If you're interested specifically in Kirigami projects to jazz up your presents, this book is a good choice. Learn how to make customized greeting cards and one-of-a-kind gift wrap that is sure to impress. You can find more Kirigami product recommendations in the LoveToKnow Origami slideshow Kirigami Instructions. Many people who are interested in Kirigami also find themselves looking for Scherenschnitte patterns. Scherenschnitte, a word meaning "scissor cuts" in German, is another form of paper cutting. Founded in Switzerland and Germany in the 1500s, the most common Scherenschnitte projects involve creating paper silhouettes. However, many modern Scherenschnitte enthusiasts have incorporated the symmetry of Kirigami to create their own unique designs.